Garden City Display Fireworks Inc. has been steadily growing in size and stature. In 1998 we trained in the use of Show Director Software and the Pyrodigital Firing System. Since then, we have successfully captured some of the most prestigious awards in Canada, and have been hired to crew and design shows worldwide. A first for an Ontario company, Garden City Display Fireworks Inc. was proud to represent Canada at the most prestigious fireworks competition in the world, La Ronde’s L’International Des Feux Loto-Quebec on July 23, 2008. Just being invited to this competition is a great honour and exemplifies our ability to compete on the world stage. 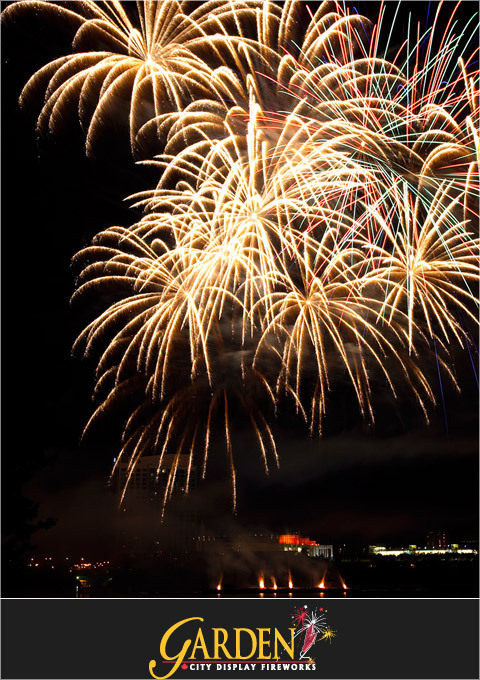 We have also competed in the Molson’s Great Canadian Fireworks Competition eight times since 1998, have not place below third, and captured the title of National Champions in 2000 and 2002. Every year the number and size of our displays increases. Shows such as Grimsby’s Happening in the Park and Lincoln’s Canada Day Celebrations have been fired by Garden City Display Fireworks since their inceptions, and have seen their budgets double due to enthusiastic and positive feedback from the community and local politicians. Sherkston Shores has increased their shows from three times a year to firing every Saturday night for the summer season. Other shows that Garden City has been proud to call their own are Cherry Hill Golf and Country Club, City of Sarnia July 1 show, The Royal Canadian Henley Regatta, the City of Welland’s Victoria Day, July 1 celebrations and New Years Eve shows to mention only a few. Our experience at national and international competitions is extensive, and listed below are some of the awards Garden City Display Fireworks Inc. has been involved with, in the design or the production. All of our customers agree that our experience and expertise amounts to an unbelievable fireworks spectacular, whether they are organizers of major events, festivals, private or corporate functions. We guarantee to deliver a successful fireworks display. Our goal is to provide all of our customers, large or small, with excellent service and complete satisfaction. One of our trademarks is to provide personalized designs, and innovative, original shows for the lowest possible price. 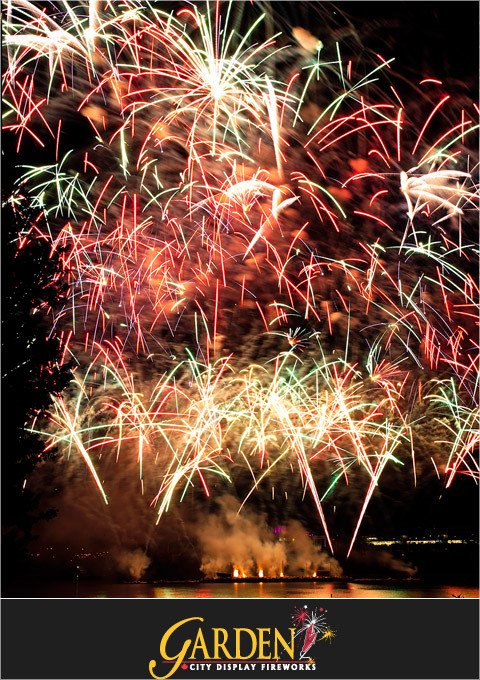 Design and production of fireworks displays: traditional, musical utilizing the Pyrodigital system, year round. Please feel free to contact us for a list of references from our numerous satisfied customers. To make your next celebration a memorable event, please do not hesitate to contact Garden City Display Fireworks Inc.
April 2007: Harbour Lighting Show, the world’s largest roof top Pyro show, Hong Kong S.A.R. December 2005: Harbour Lighting Show, the world’s largest roof top Pyro show, Hong Kong S.A.R. February 2001, 2002, 2003, 2004, 2005 and 2007: Chinese New Years, Hong Kong S.A.R. December 2001: Lights up Hong Kong, Hong Kong S.A.R. October 2001, 2002, 2003, 2004 and 2006: Chinese National Day, Hong Kong S.A.R. December 1999: Millennium extravaganza, Mt. Bromont, Quebec. Copyright © Garden City Display Fireworks. Allrights reserved. Created and hosted by CLiNFO.com.